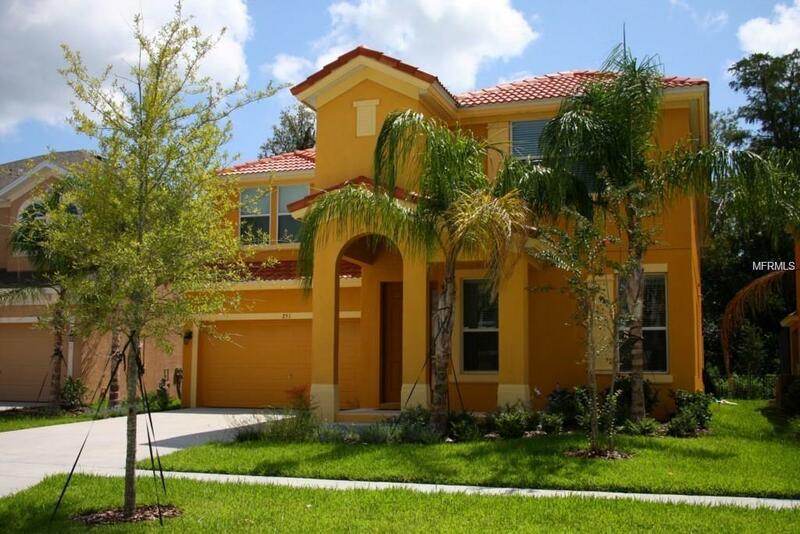 Elegant 2 story home built in 2012 with many upgrades! Enjoy the private heated pool and spa from the covered lanai with conservation view. Kitchen features granite countertops and fully quipped kitchen making this a move in ready home! Open style concept to the living and dining area allow for a great entertainment space. The garage was upgraded with AC to make playing pool, air hockey or just playing on the PS3 more comfortable and enjoyable! The owner spared no expense with the furniture package including pillow top mattresses, top of the line TV's in every bedroom and window treatments. This home is move in ready and has been generating income from rentals which can be transferred to the new owner under the current management company. 2 master suites, 3 en suites and a jack and jill style bathroom are featured on the first floor. Laundry is also on the first floor for added convenience. An alarm system already in place for added security. This community features a gated entrance with resort style pool, gym, walking path, basketball court, volleyball court, playground, business center and game room. The location of this home puts you within minutes from all your favorite theme parks, attractions, restaurants, international airport and shopping. Future bookings can be transferred if you are looking for instant income!